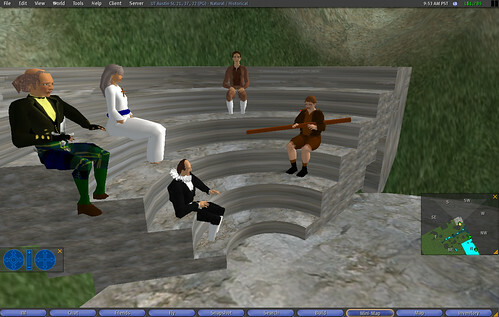 Starting on Friday and ending on Sunday evening a group of my students will be hosting Horns for a Hundred Thousand. A fundraising event for Project Jason/Garden for the Missing and the Team Fox Organization. An invitation from my students is below. We are students at University of Texas in North Lamar’s class. 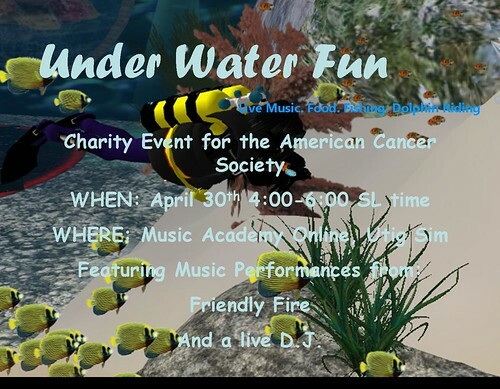 As a group project that we have been planning for a few weeks now, my group and I have decided to hold an event benefit to raise money and awareness to the Project Jason/ Garden For the Missing nonprofit organization and the Team Fox organization in order to bring awareness to people through using Second Life as well as donating all the money raised at the event to these two organizations. We will be trying to raise L$100,000! The event will consist of a dance, live DJ and music playing, a dance floor, raffles for items, silent auctions, go-karts and bumper cars as well as free stuff given out all of this which benefits two great causes! We would greatly appreciate a donation to our event that benefits two nonprofits, Michael J Fox Foundation for Parkinsons research and Project Jason assistance for families of missing persons so come to our event! Come help the University of Texas Longhorns Raise L$100,000 for two worthy charities – free entry & free rides. Friday April 24th to Sunday April 26th. Activities include: go karts, bumper cards, raffle, and silent auction. 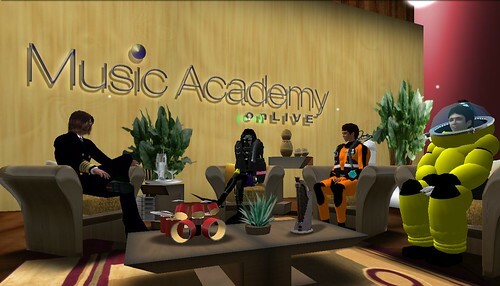 Please stop by and check out how my students have learned to work in a virtual world. The students designed the entire project, booked all the talent, and found the non-profit clients to work with. Their goal is raise 100,00 Lindens. Oh yeah, to my research friends; you aren’t the target audience here so follow the spirit of the talks, don’t focus on the data : )..